We want to thank everyone who came out and tried our demo at Game On Expo. 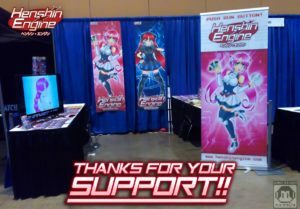 It was a pleasure to meet and shake hands with many of our backers, We also want to thank you for your continued support. Stayed tuned for our next update! Thank you! « FX-Unit Yuki Fan Art Submissions!